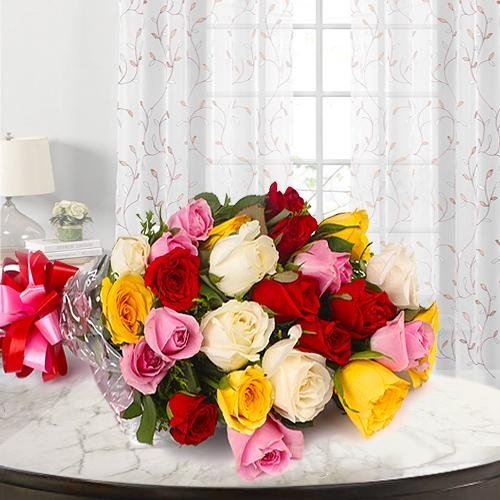 Celebrate Mother�s Day (12th May 2019) in Indore, Madhya Pradesh with Floral Gifts for Mom. 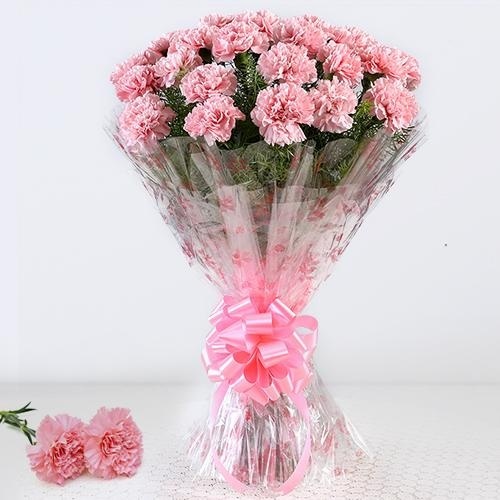 Order Fresh Flower from our website for your Mother and get an assured Free Same Day Delivery of Mother�s Day Gift anywhere in the city. 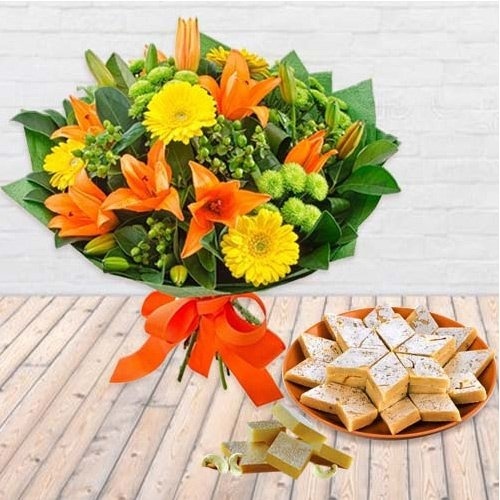 Order a Premium Lily Bouquet or a Pink Carnation Bunch or an arrangement of Gerbera in a designer Vase and Purple Orchids with Cakes and Chocolates and Send Mother�s Day Gifts to Indore, all these combos will be specially arranged by our Local Florist in this beautiful town. 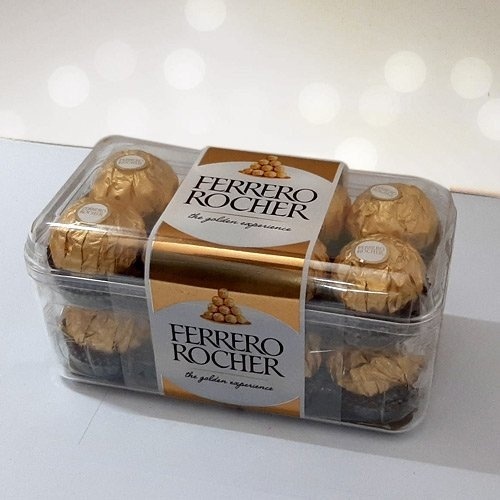 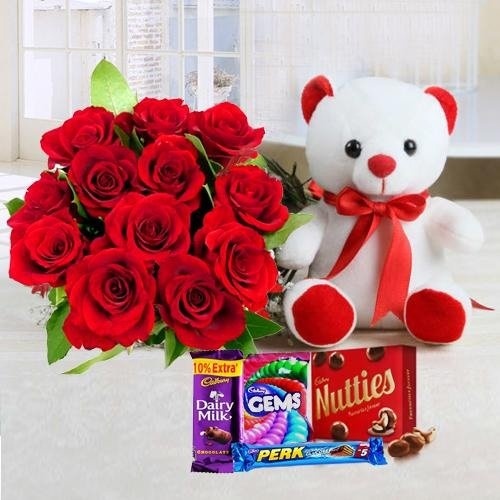 We also deliver presents like Teddy, Balloons, Eggless Cake, Fruit baskets, Cashew Nuts, Ferrero Rocher etc along with Flowers Bouquets at a cheap online price on Mothers Day. 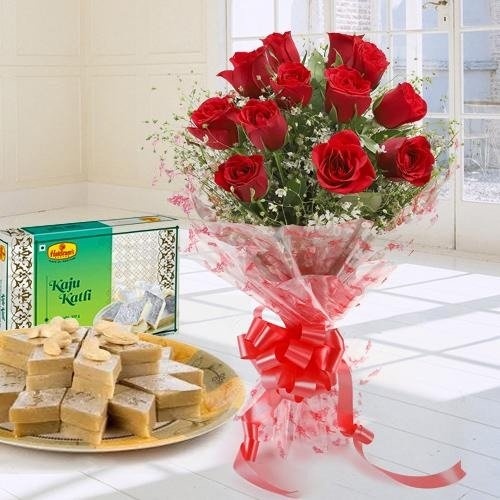 We also provide Midnight Delivery of Floral Gift for Mom�s at all locations of Indore that include Siyaganj, Ranipura, Ramganj, Canadan Nagar, Rajnagar etc. 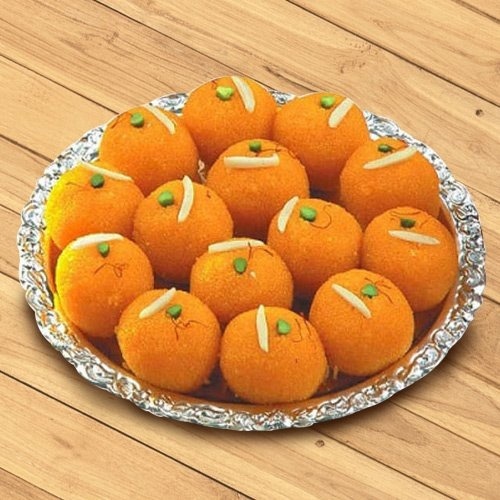 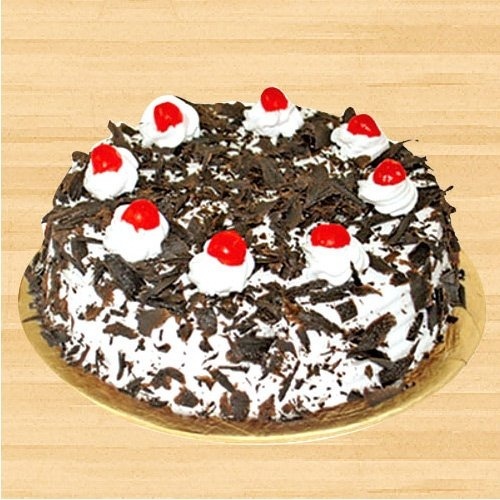 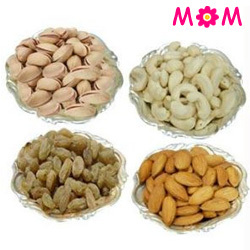 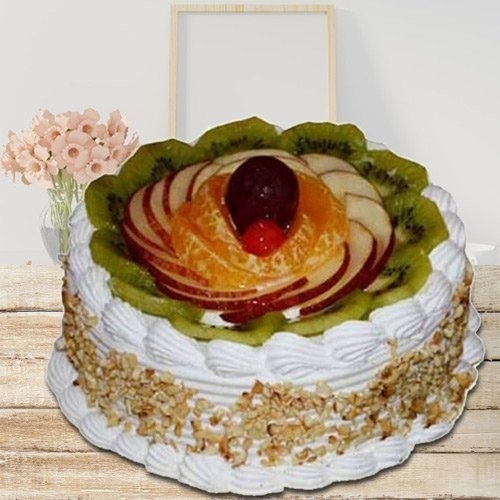 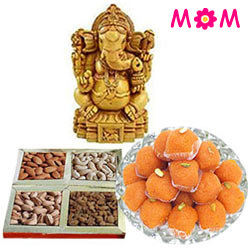 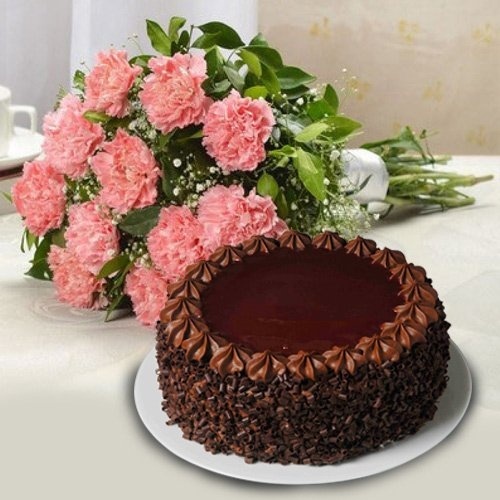 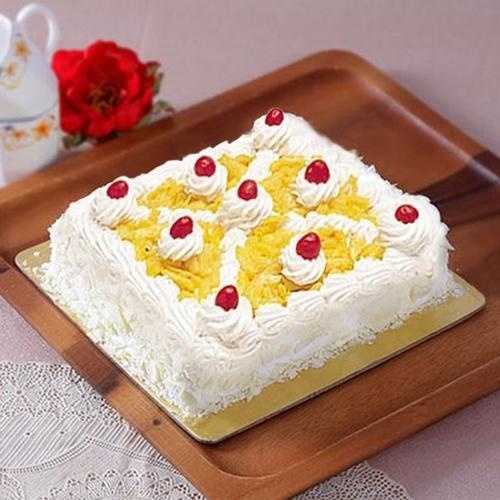 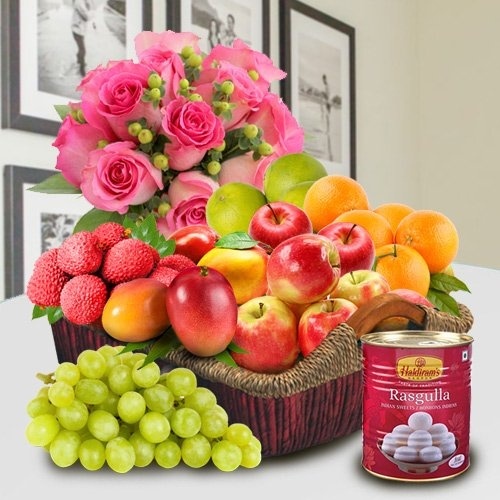 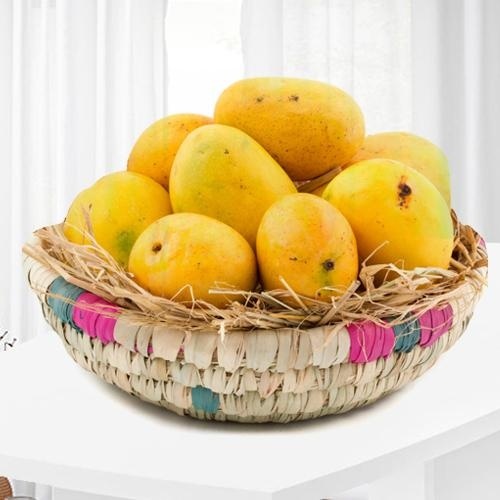 On this Mother�s Day pleasantly surprise your Mummy in Indore by Sending Pink Lily Bunch, Fresh Fruit Baskets, Cadbury Chocolates, Dry Fruits and Eggless Strawberry Cake from this website. 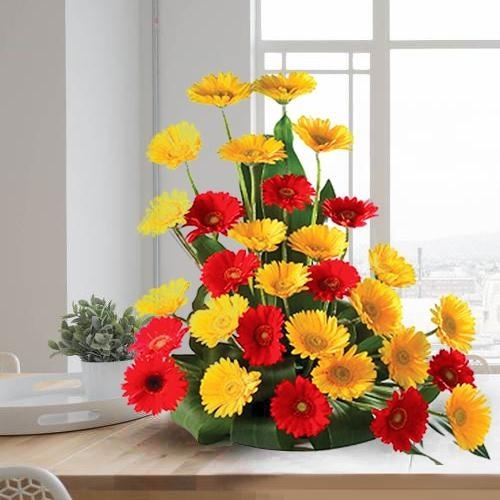 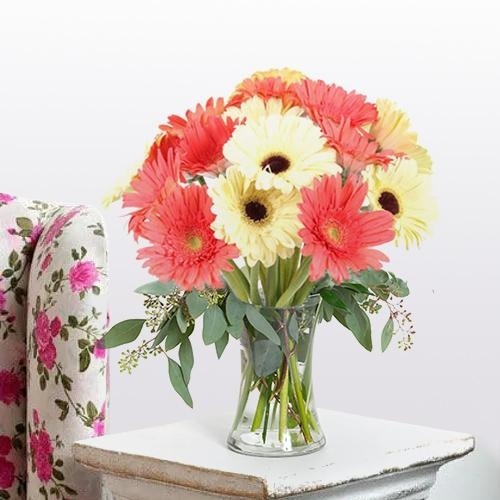 You can pick any Gift and Online Flowers for your Mom from our vast catalogue which are available in designer vase, hand bouquet and as arrangement, hand designed by our expert Local Florist in Indore. 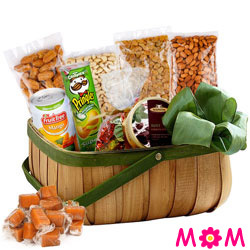 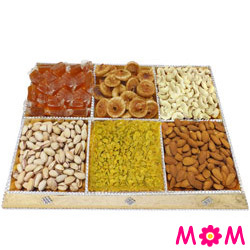 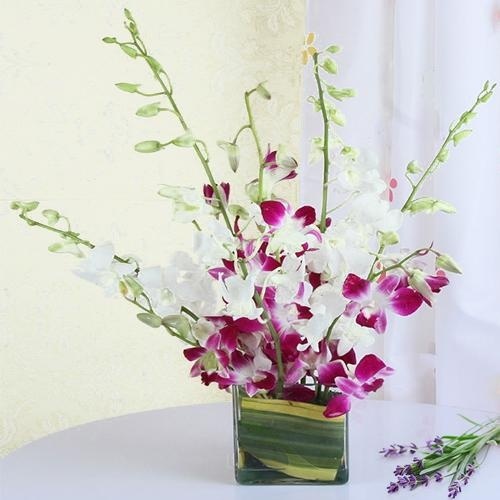 Bunch of Orchids, Rose Bouquet and BOP with Walnuts and Dairy Mil Silk Chocolate are also available for you to choose Online Mother�s Day Gifts and these will be Delivered Same-day or at Mid-night to every locality of Indore. 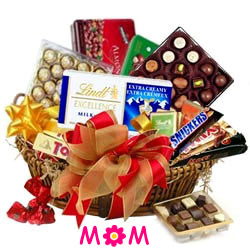 Mother�s Day is a special day of a year. 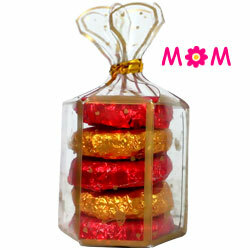 Celebrate this day with Flower Bouquet for your Maa and make her happy. 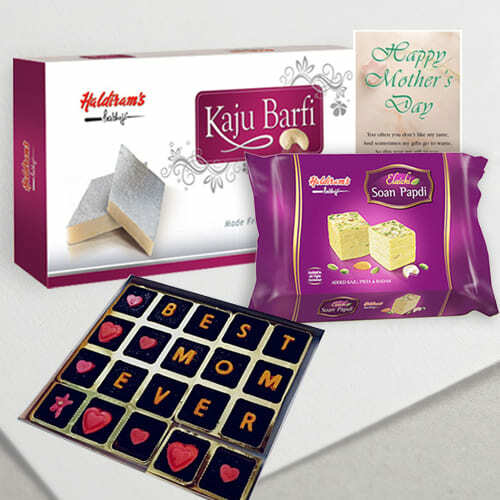 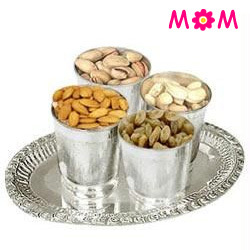 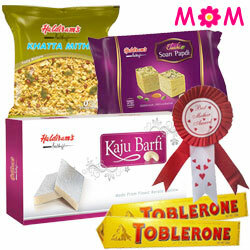 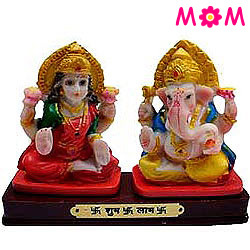 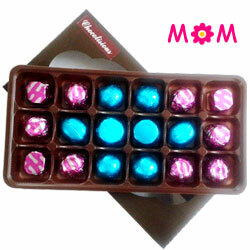 Express your love for your Mom by Sending meaningful Gifts on Mother�s Day in Indore. 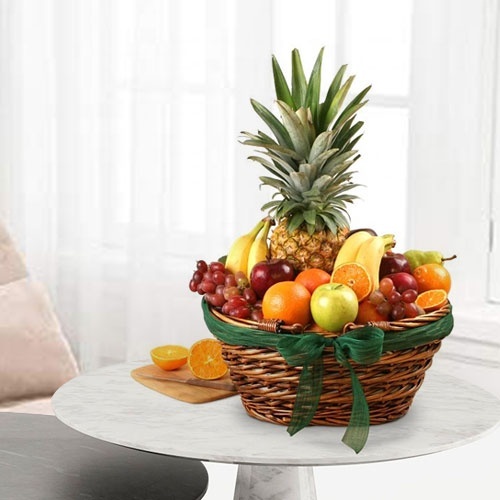 From our website, Order Fresh Baked Pineapple Cakes for the cake loving Mummy or a Cosmetic Hamper for the fashionable Moms in the city. 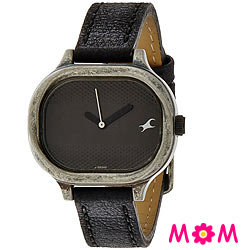 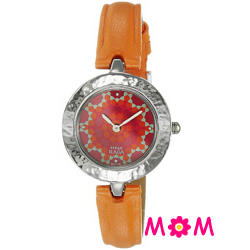 You can also choose to Send Titan Ladies Watch and Pens for working Mother�s and Hand Blenders for the housewife Mom on Mothers Day in Indore. 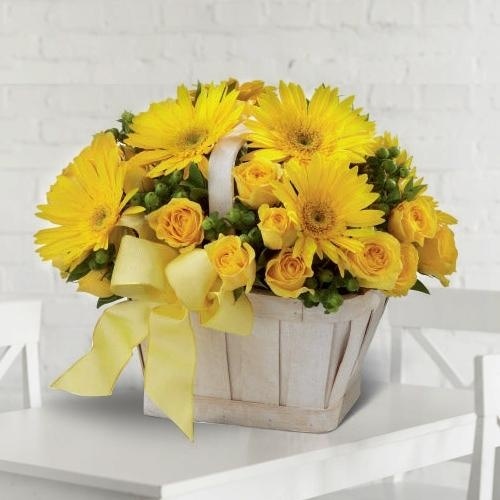 Online Gifts are available for a Free Delivery Same-Day. 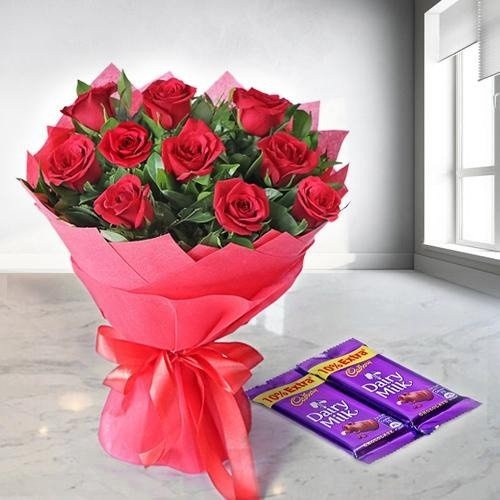 Order Oriental Pink Lily Bouquet with Assorted Chocolate packs and Mixed Roses in Vase or a Basket of Seasonal Flower and many other such enthralling Flower and Gift like Earrings, Saree, Lakme Cosmetics, Perfume, and Fresh Fruit Basket Gifts for Mothers Day in Indore. 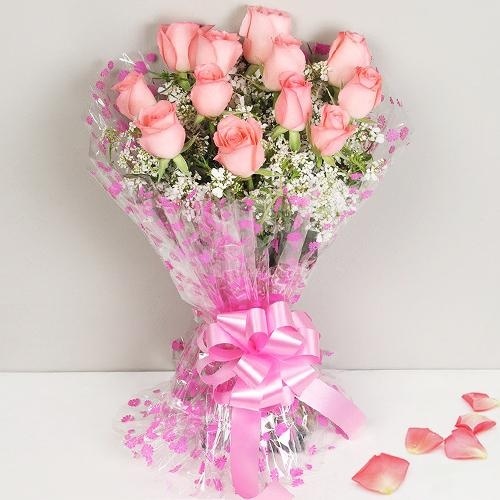 Now you can Send Online Flowers Same Day Flowers and get a Free Shipping on Mother�s Day in Indore.